Halloween night, 1963. A six year old child (Michael Myers) murdered his 17-year-old sister. He was locked away at Smith’s Grove-Warren Sanitarium for 15 years, but on October 30, 1978, things were about to change. While being transferred, a now 21 year old Michael Myers escapes Smith’s Grove and returns to his quiet hometown of Haddonfield. Seventeen-year-old Laurie Strode is a quiet bookworm, preferring babysitting over parties. Her friends, Annie and Lynda, are busy thinking about the fun of Halloween night. That evening, Laurie and Annie are babysitting across the street from each other. Laurie has to keep an eye on Tommy Doyle, while Annie watches Lindsey Wallace. Little do they know that Michael Myers has come home. Carefully, he murders Annie first, followed by Lynda and her boyfriend Bob. Their only hope is Dr. Loomis, Michael’s childhood psychiatrist who has followed Michael’s trail back to Haddonfield. Loomis enlists the help of town sheriff and together the duo search the streets, but the bogeyman is close to his prize for the night: Laurie! 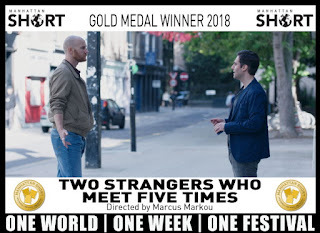 Latest News: New York NY Oct 8, 2018: "Two Strangers Who Meet Five Times" written and directed by Marcus Marcou (UK) was crowned the Gold Medal Winner of the 21st Annual MANHATTAN SHORT Film Festival. 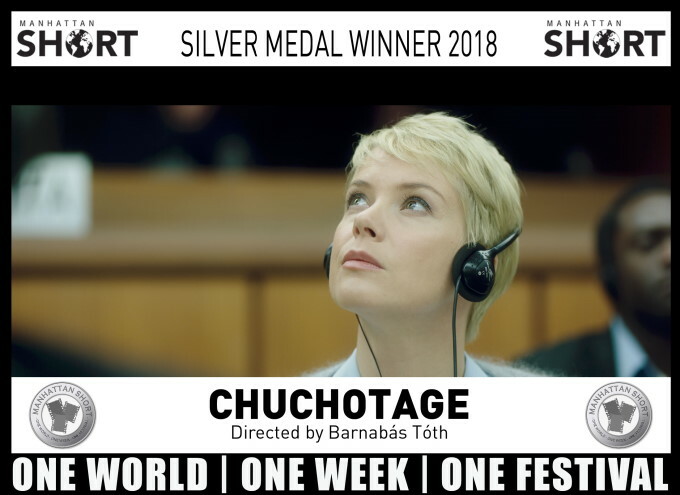 The Silver Medal went to "Chuchotage" with the Bronze Medal going to "Baghead". 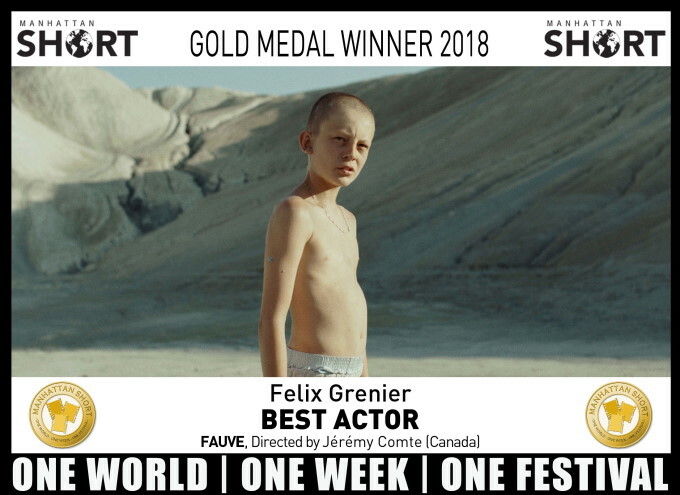 The Gold Medal for Best Actor went to Felix Grenier for his breakout performance in (Fauve). Note: From over 350 venues worldwide, we're amazed that only 3 votes separated 2nd and 3rd place, so yes, every vote does count at MANHATTAN SHORT. 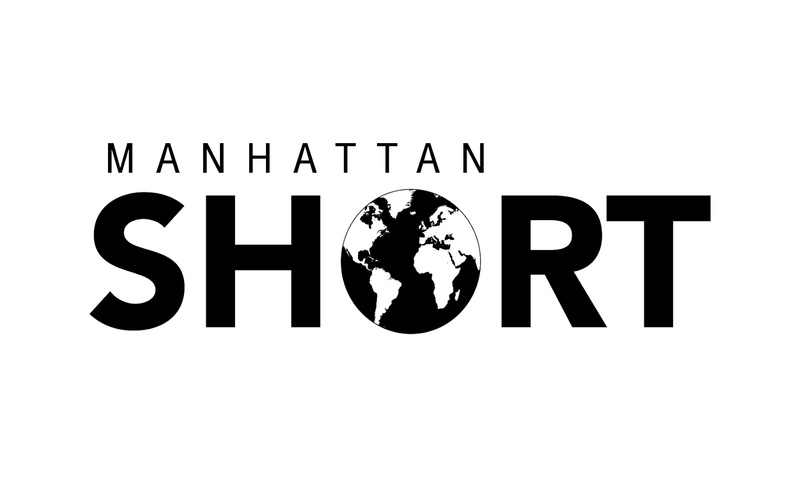 MANHATTAN SHORT today announced the Final Nine selections for its 21st Annual Short Film Festival, a worldwide event taking place in over 350 venues across six continents between September 27th and October 7, 2018. MANHATTAN SHORT is the only event of its kind. 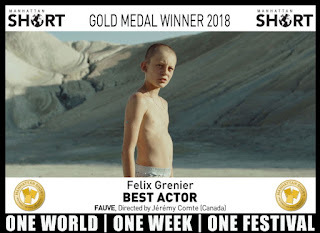 The Final Nine are screened simultaneously across the world during a one-week period, with the Best Film and Best Actor awards determined by ballots cast by the audiences in each participating venue. 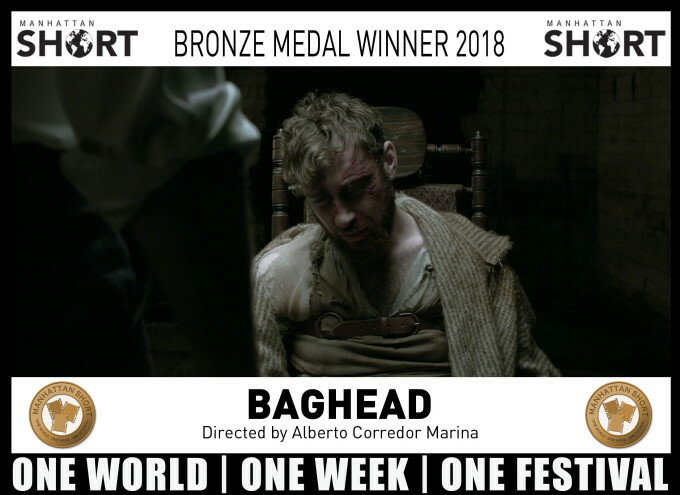 By virtue of their selection by MANHATTAN SHORT, each short film is automatically Oscar-qualified. 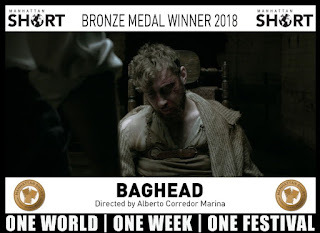 Baghead (United Kingdom), Fire in Cardboard City (New Zealand), Home Shopper (USA), Her (Kosovo) Two Strangers Who Meet Five Times (United Kingdom), Someone (Germany), Chuchotage (Hungary), Fauve (Canada), Lacrimosa (Austria). All Final Nine short films will become Oscar-Qualified, meaning they will become automatically eligible for an Academy Award nomination, by screening for a week at Los Feliz 3 Cinemas in the county of Los Angeles . Which of these nine short films is best? That's up to a worldwide audience to decide. Cinema-goers across the United States and around the globe will become instant film critics as they are handed a ballot upon entry that allows them to vote for the Best Film and Best Actor. 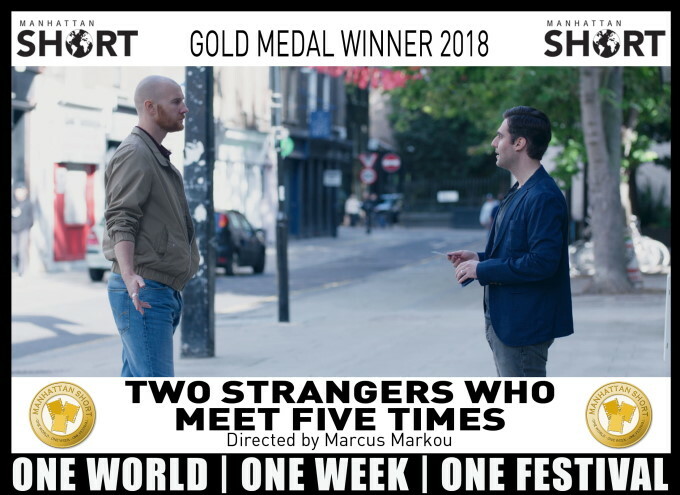 MANHATTAN SHORT is the ultimate audience award that salutes the creative talents of both directors behind the camera and actors in front of it. 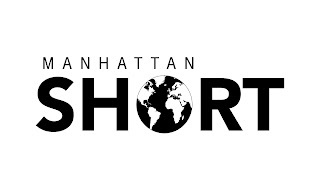 Votes will be sent through to MANHATTAN SHORT HQ with the winner announced at ManhattanShort.com on Monday Oct 8, at 10AM EST. 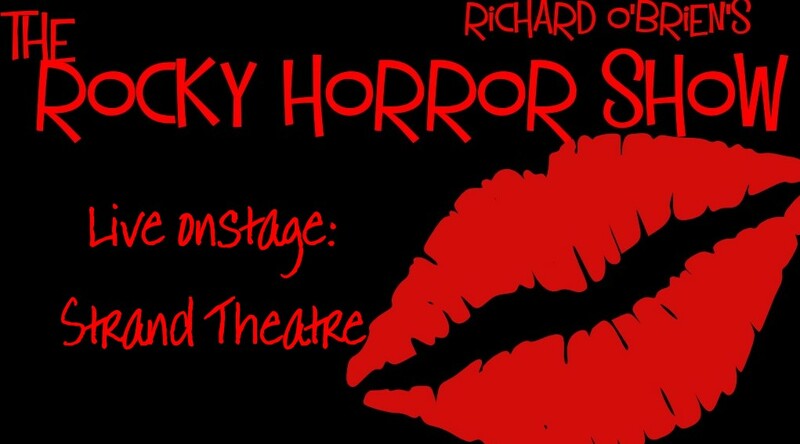 Rocky Horror is back at the Strand! Richard O'Brien's Rocky Horror Show returns to the stage of the Strand Theatre in downtown Vicksburg for the first time in four years. Come do the Time Warp again with Frank-N-Furter, Brad, Janet, Riff Raff, Columbia, Magenta, Eddie, Dr. Scott, Rocky...and all the Transylvanians. It's just like "a late night double feature picture show...from RKO"
"Just a sweet transvestite from transexual Transylvania..."
"In just seven days, I can make you a man..."
"He thought it was the candyman..."
"The sword of Damocles is hanging over my head..."
"What a guy, made you cry, und I did..."
"Touch-a, touch-a, touch-a, touch me..."
"Crawling on the planet's face, some insects called the human race, lost in time, and Lost in Space..."
Hot patootie, bless my soul Really love that Rock and Roll..."